Whew! This schedule craziness has been driving me insane. I literally feel like I have had to fight to get to my blog tonight to provide an update. After being VERY good with my previously announced posting schedule of Wednesdays, Fridays and Sundays, I haven’t been able to post in almost a month. I truuuuuuuuly plan on not letting such a long lapse again. There was also some bad news. There was a death on my wife’s side of the family. ‘Nuff said. After that, when it comes to my books and such, I THOUGHT I was almost done with my audiobook, but after working to mix the final product, I just wasn’t pleased what I was coming up with. The room I recorded it in was too noisy because of my computer, and the microphone wasn’t as good as I needed it to be. 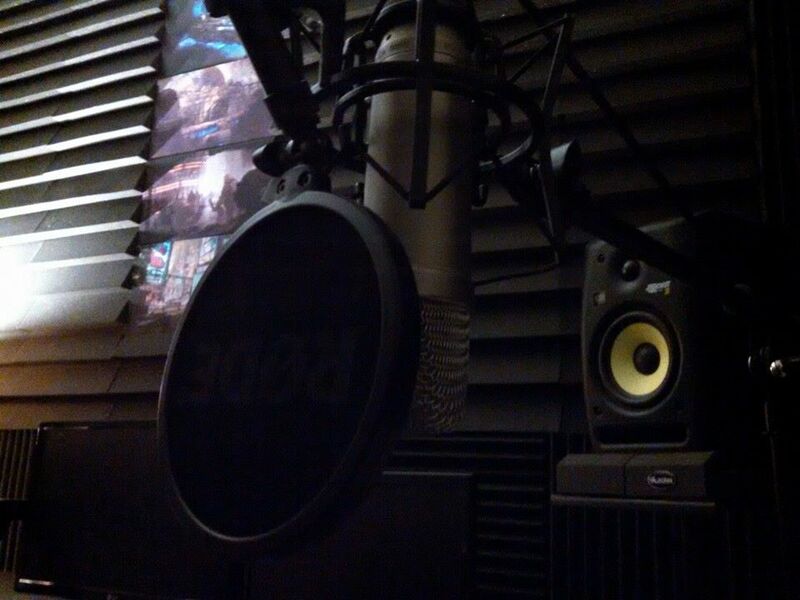 So, in addition to the great acoustic treatments I had already put up, I got my computer out of the room, (with the help of some very long cords), and bought a few new microphones. I then started over on the recording, and I’m VERY pleased with how it’s sounding now. I’m cautiously optimistic that the SOULS OF ASTRAEUS audiobook will now be available sometime around the first of August. Wooooooooooo!